She arrived to the Mercy Ship Anastasis with a definite air of expectation, because for over 50 years Felisia had lived without a nose. When she was just a teenager, a painful wound appeared on Felisia’s arm. She credits this as the beginning of her suffering. After three months the wound almost covered her entire arm. 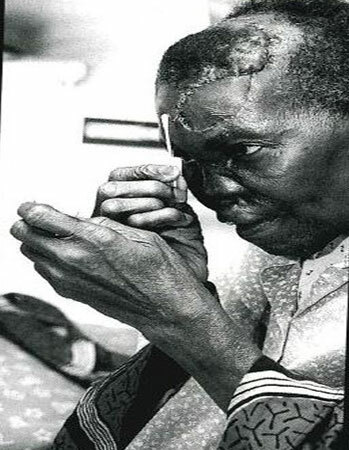 Felisia’s parents took her from one traditional healer to the next, and in the following three years spent all their money in the futile quest for help. 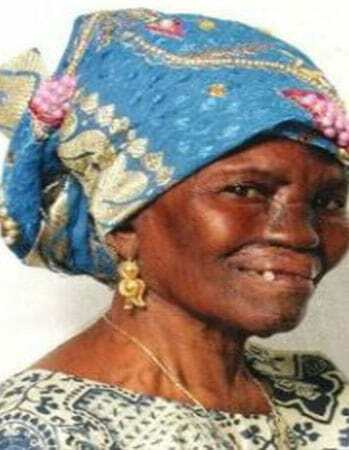 She says her anguish was perpetrated by the treatment by the Beninese village witchdoctors. When the wound on her arm seemed to be healing, Felisia felt a similar malaise on her head. Within days her nose throbbed with pain. After four years of suffering, the pain disappeared – along with her nose! 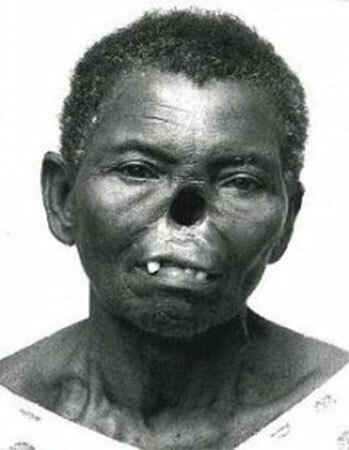 Through a series of operations onboard the Anastasis in 2000, volunteer surgeons reconstructed Felisia’s face. A scalping flap was created from her forehead to build her a completely new nose. 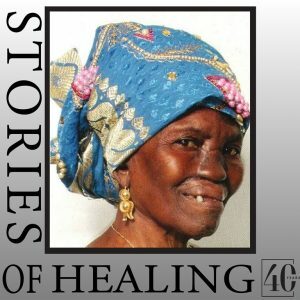 After the many weeks of healing, Felisia was thrilled with her restored face. She laughed and danced through the ships’ wards, flirting with the doctors and asking the men to marry her. ‘I never dreamed of this, but now I will look beautiful!’ she declared. When she finally descended the gangway, Felisia held her head high, proudly stepped out and pointing her new nose in the direction of home.